I'm not a big fan of H.G. 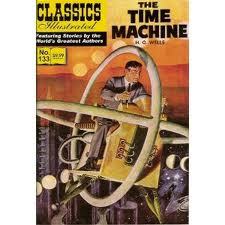 Wells's 1895 novel The Time Machine, but I am totally in love with the many and varied cover images it has inspired. 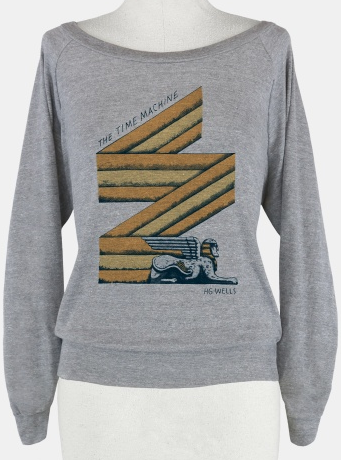 Seriously, the story has been graced with some of the coolest sci-fi artwork on God's green earth, and I'm thinking of asking for this sweatshirt for Christmas. I feel a little shallow about the whole thing, but... well, that has never stopped me before.